There are two kinds of food photos you’ll find on social media. The first is prepared meals. Yeah, I don’t get that. Unless I’m eating at some hoity-toity restaurant and I want to rub it in my friends’ faces, I’m not sure why I would feel compelled to share my meals. I assure you that our at-home meals aren’t all that exciting. In fact, I spend a ridiculous amount of time making our meal photos look half decent so I can share the recipes on this site. I think I’d starve to death if I tried doing it every day for all three meals. The second kind of food photos you’ll find are the raw ingredient shots. These are the ones that inspired writing this. Have you ever, I mean even once, came back from your local grocery chain and snapped a photo of your bag of pre-mixed lettuce to share with your friends? We are excluding photos to show of the horror of what you may have found in said food. I didn’t think so. So who are all these people taking photos of raw ingredients? The people who grew said ingredients! There is a sense of pride in showing off what you grew all by yourself. I actually had to hold myself back from sharing this morning’s muskmelon on Instagram (though I did mention it briefly on Twitter). My son proudly holds up the very first egg we got from our hens. We continue to photograph our eggs to show off the beautiful variety of colors that come from our mixed flock. I don’t think a carton of generic store-bought white eggs could ever compete. I milked the goat, heated the milk to just the right temperature, added the right cultures. I have every right to show off my cheese with pride. A block of cheddar from the store? Not quite the same. This photo can and should be followed with a picture of homemade crackers with chevre piled on top. Laura of You Should Grow‘s son makes tomatoes look like the best snack in the whole world. Warm and fresh from the garden? Yes please! Certainly invokes a feeling that tomatoes in a plastic bag just can’t. Ann of A Farm Girl in the Making embodies the homesteading image complete with turkey. Looks at that beautiful basket of homegrown goodness. The shopping basket filled with plastic-covered food, not so much. Ah, here I am with my farm fresh goat’s milk. 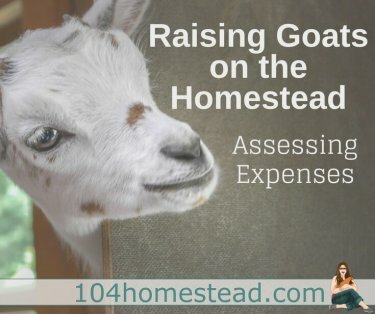 As someone who thought milking a goat was easy, let me tell you it’s not! I don’t think there was ever a day before goats that I photographed milk. Okay, there was that one time I was drinking a large glass of milk while breastfeeding, but only that one time. Now I’m not saying anything about Mott’s (at least not out loud), but my homemade applesauce that I spent the day canning with my mom is much more photo-worthy. Teri of Homestead Honey‘s beautiful boy couldn’t be any more happy with his potato haul. Look at that face! He makes me want to go dig in the garden to see if our ‘taters are ready. Fun shapes and sizes instead of standard and boring. Showing off the uniqueness of carrots is the only way to photograph carrots. It doesn’t hurt when you have cute preschool kiddos like Little Sprout Learning‘s to model the carrots for you. Salsa in a jar or the whole shebang of ingredients on display, fresh from the garden. I desperately want to go to Laurie of Common Sense Homesteading‘s house for salsa. Old El Paso, not so much. Am I the only one here with tomato envy? See, when you grow and produce your own, it takes on some sort of magical quality. A food photo quality. So if you produced it, snap away! You don’t need to stage it or add props. The lighting doesn’t need to be perfect and the shadow doesn’t have to be adjusted. Homegrown food is perfect just the way it is. I’ll see you on Instagram.